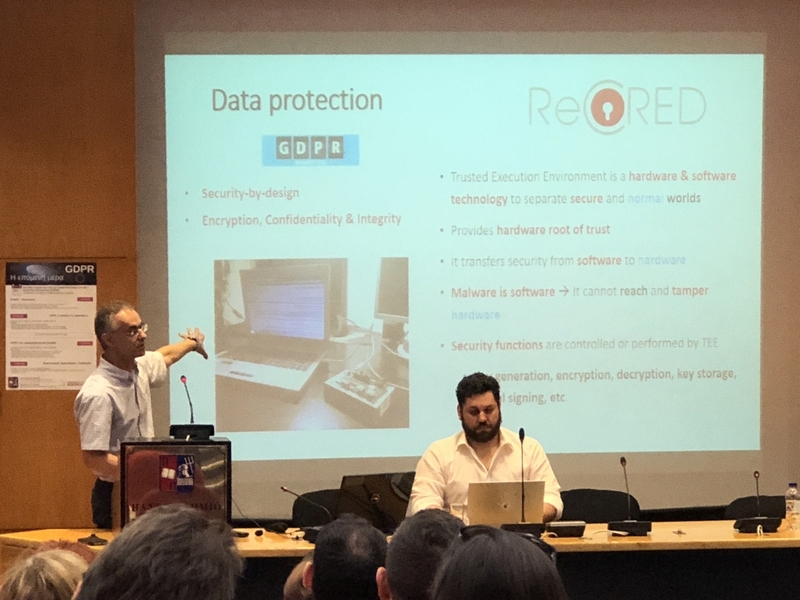 On May 30th, 2018, the University of Piraeus organized a workshop on the European General Data Protection Regulation titled “GDPR: The next day”, to present the European framework and discuss the challenges that organizations face after its implementation. Faculty members, representatives from the Hellenic Data Protection Authority, as well as banking and business operators supported the event by sharing their knowledge and experience to a wide audience of undergraduate and postgraduate students. Prof. Christos Xenakis was responsible to demonstrate the contribution of EU Research and Innovation projects towards a GDPR compliant digital society that respects and protects user data. ReCRED, being fully compliant with the new regulation, was mentioned as a prominent example of a platform that combines forefront technologies that allow for user authentication in a user-friendly, secure and privacy-preserving manner.